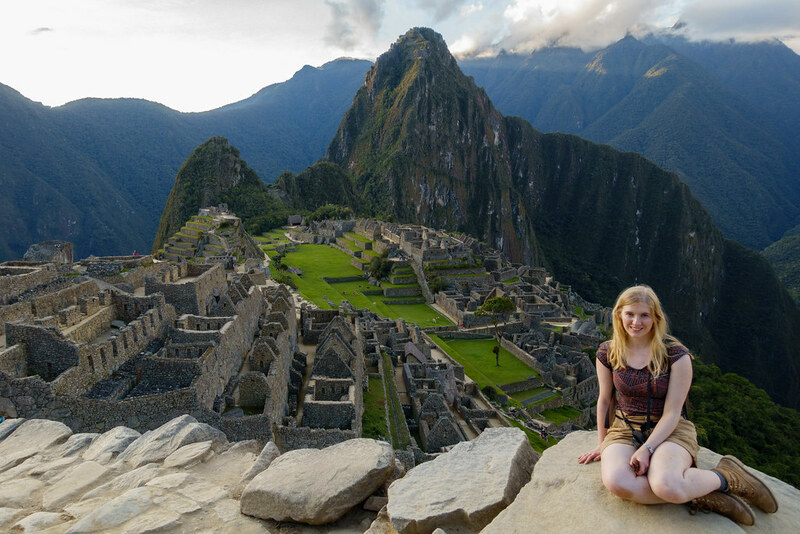 Post 3 of a series detailing our trip around South America. View the series so far here. 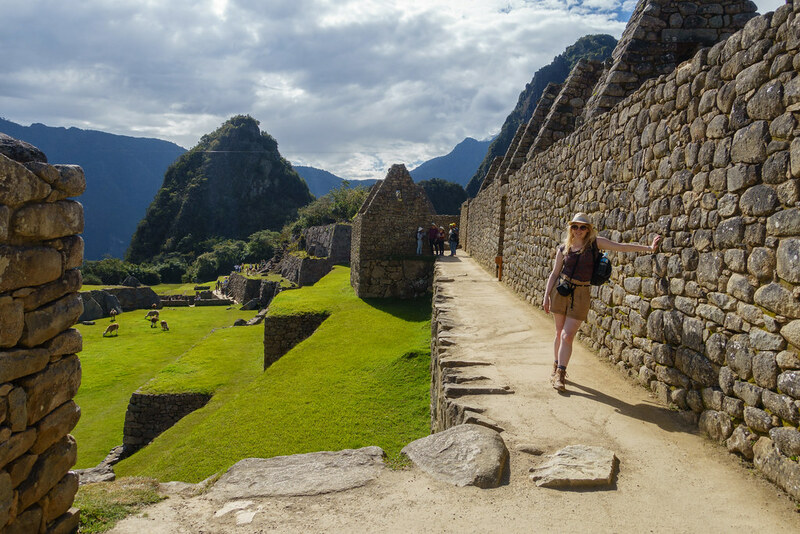 Seeing Machu Picchu had long been a dream of mine – it was one of those places that seemed too magical to be real. I presumed it must be far from civilisation and require a tour to see it. 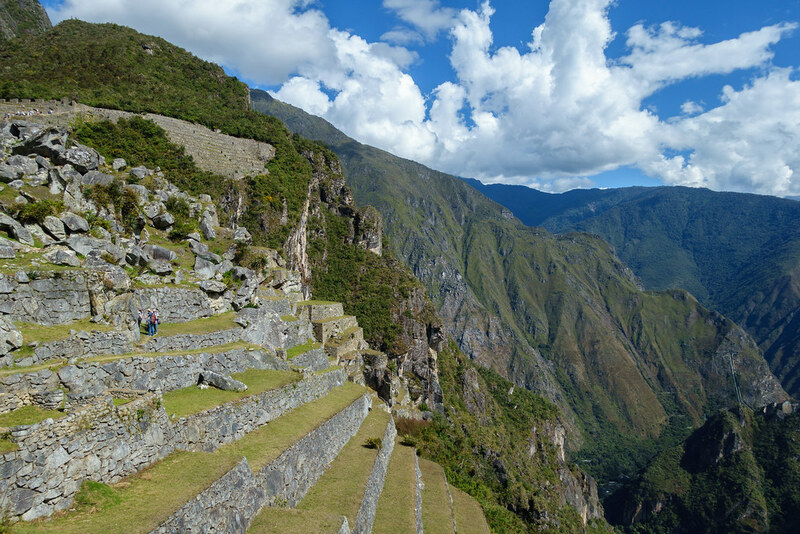 But when my time to visit Peru finally came, I found it was entirely possible to travel to and explore the Incan ruins by ourselves. It just takes a bit of research and planning, with which this blog should help! 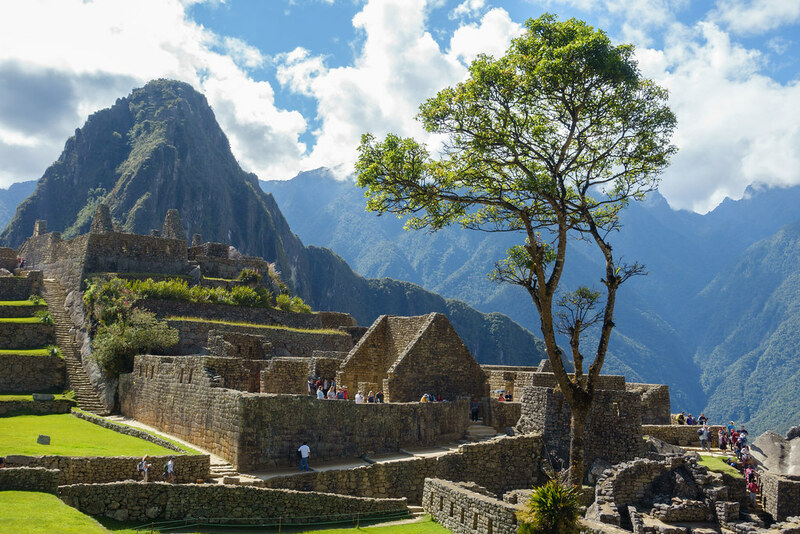 The closest big city and airport to Machu Picchu is Cusco in southeastern Peru. 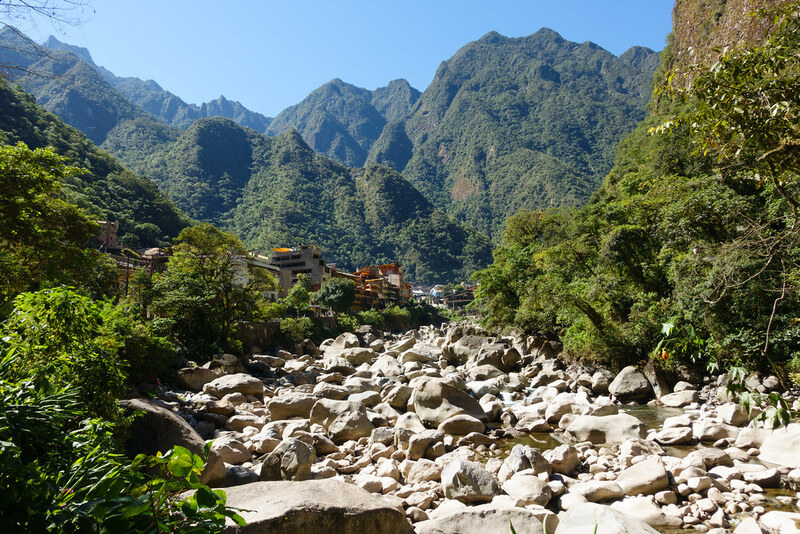 From here you can take a train directly to Aguas Calientes (also called Machu Picchu Pueblo / Town), which is the town just beneath Machu Picchu mountain and ruins. The journey takes around three hours. 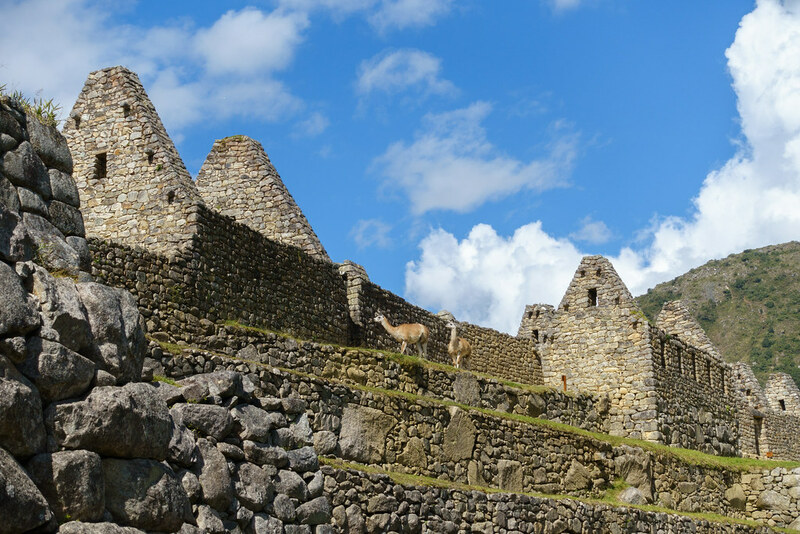 The only tricky part is that all trains from Cusco to Machu Picchu leave from Poroy train station, which is around 20-30 minutes’ drive out of Cusco’s centre. 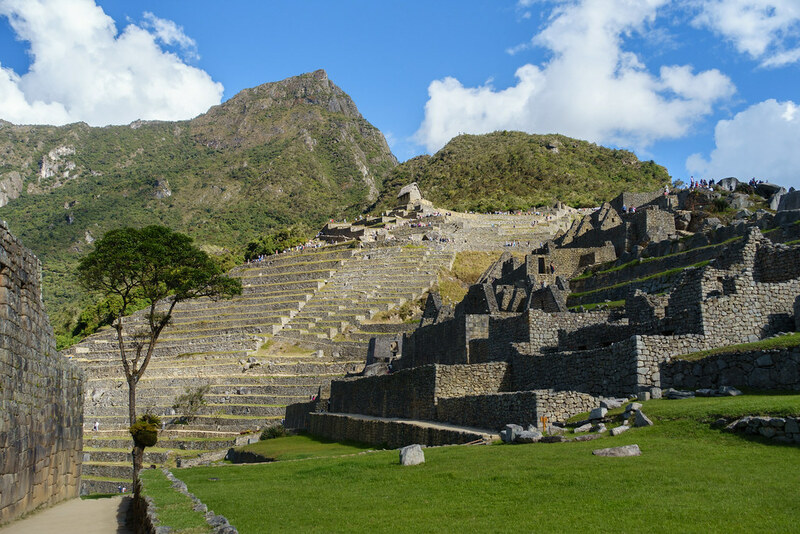 Alternatively, you can get a bus or taxi from central Cusco to Ollantaytambo, a town around halfway along the route, and a train from there to Aguas Calientes (it wasn’t available when we visited, but Inca Rail now offers a bimodal service that allows you to book this return journey all in one go). 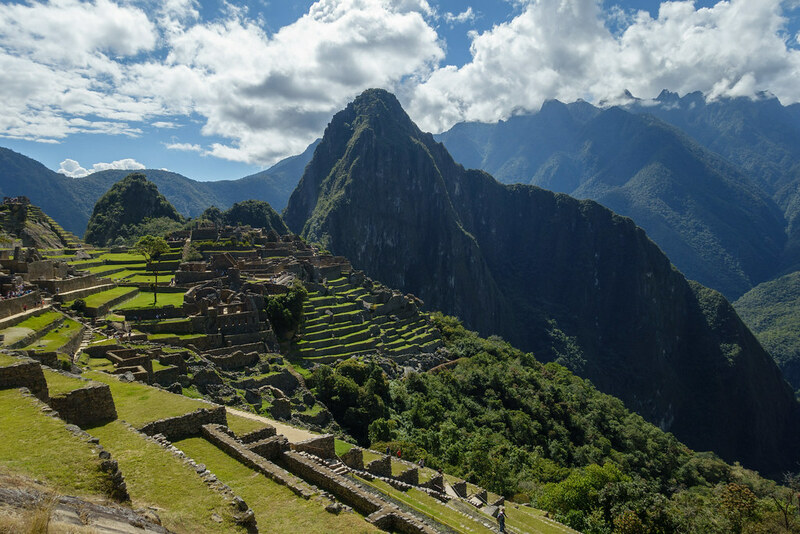 We decided to book the first train of the day from Poroy to Cusco at 5.55am, so that we’d get the maximum amount of time at Machu Picchu. This required booking a taxi to pick us up at 5am from our hotel, Torre Dorada Residencial, as you’re advised to arrive at Poroy train station half an hour before your train leaves. As we’d be returning to Cusco in two days’ time, we left our luggage at our hotel and brought only a small overnight bag each. 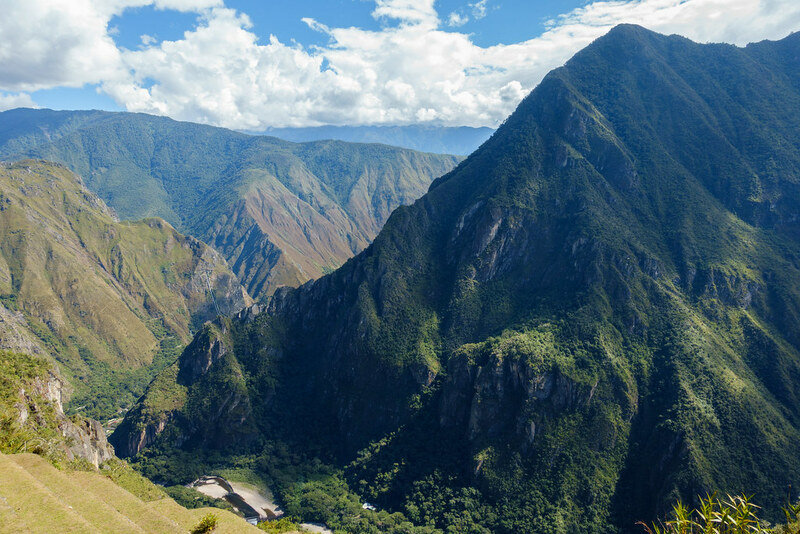 There are two train companies providing transport from Cusco to Aguas Calientes: Peru Rail and Inca Rail. They each offer a range of different services for different prices: an economy train, a scenic train (with larger windows and perks such as charging points and a meal), and a first class train. Different services leave at different times, and you can (and should!) book them in advance on the companies’ websites. I did a lot of research before finally plumping for Inca Rail, mostly because they were cheaper but also because the times suited us better. 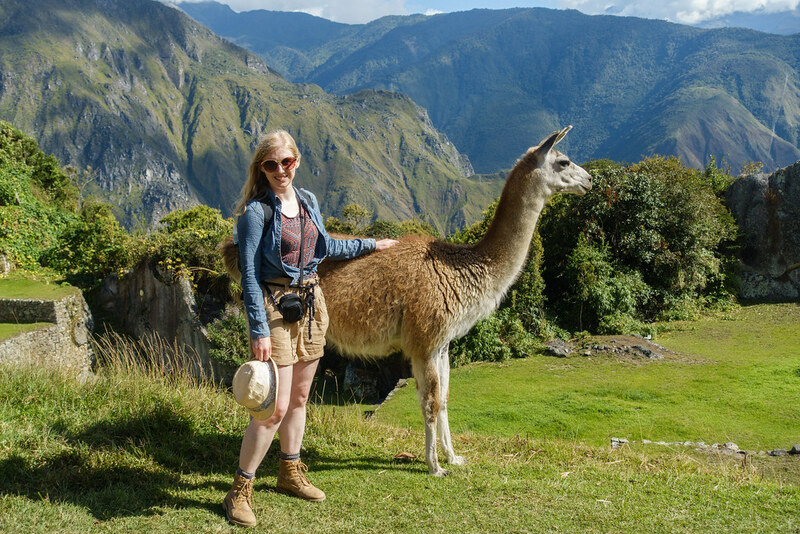 I booked Inca Rail’s slightly pricier scenic train service, the 360, on the way there so that we could best appreciate the views as we travelled through the Sacred Valley for the first time; and the economy ‘Voyager’ train for the journey back. We woke up at 4.30am in order to get in the taxi at 5am. Our hotel provided packed breakfasts in place of the buffet we’d miss, but we were also given food on the train: first a ‘snack’ of a small savoury scone and tea, followed by a ‘meal’ of a ham and cheese wrap, slices of cheese, a hot giant corncob and another drink. We ate some of it and saved the rest to eat for lunch. 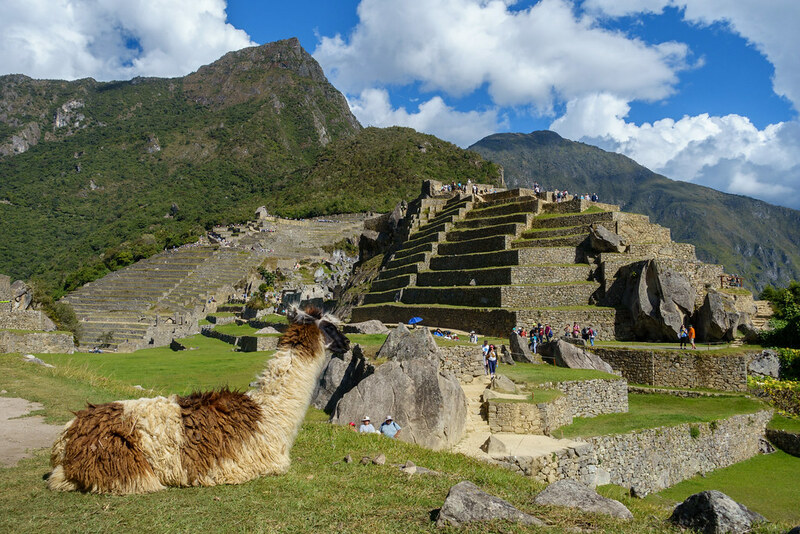 We were sat opposite a lovely Indian couple from Canada, who told us they had been booked onto the train as part of a Machu Picchu tour. 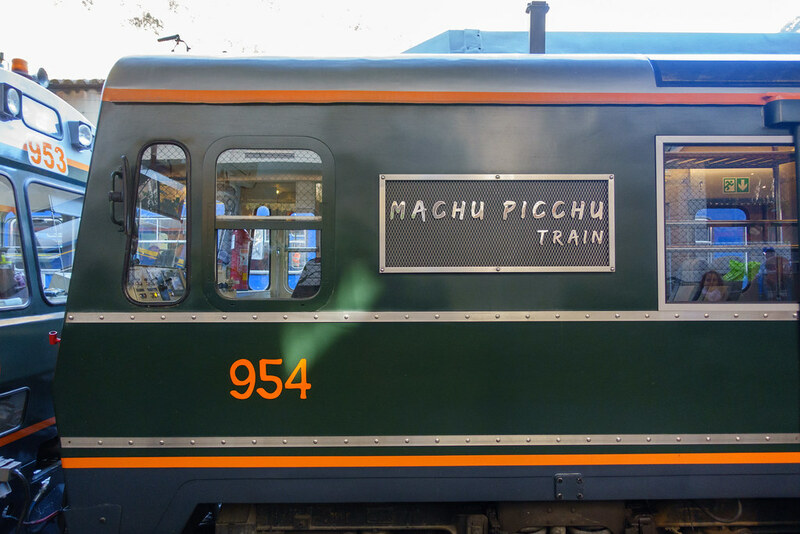 They said someone would be meeting them at the station to take them to the Machu Picchu bus, and that after seeing Machu Picchu they’d be taking the train straight back. 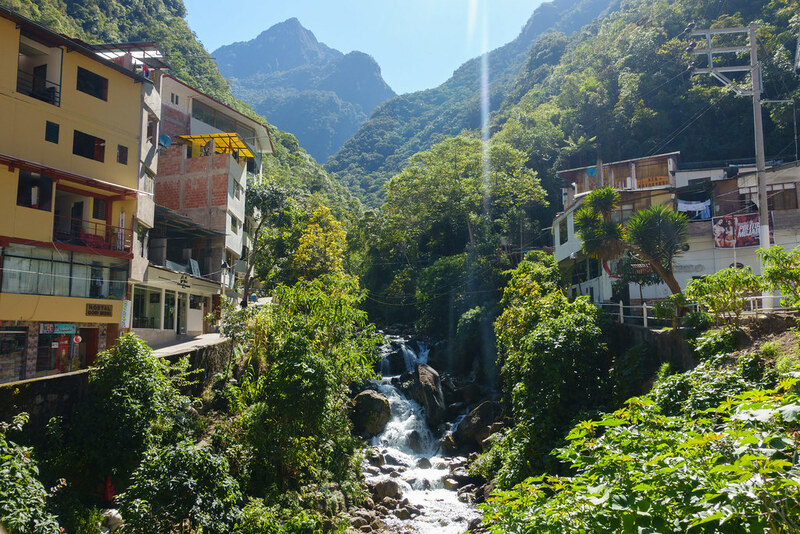 It all seemed a bit rushed to me, and I was glad we’d decided to book everything ourselves incuding a night in Aguas Calientes itself. 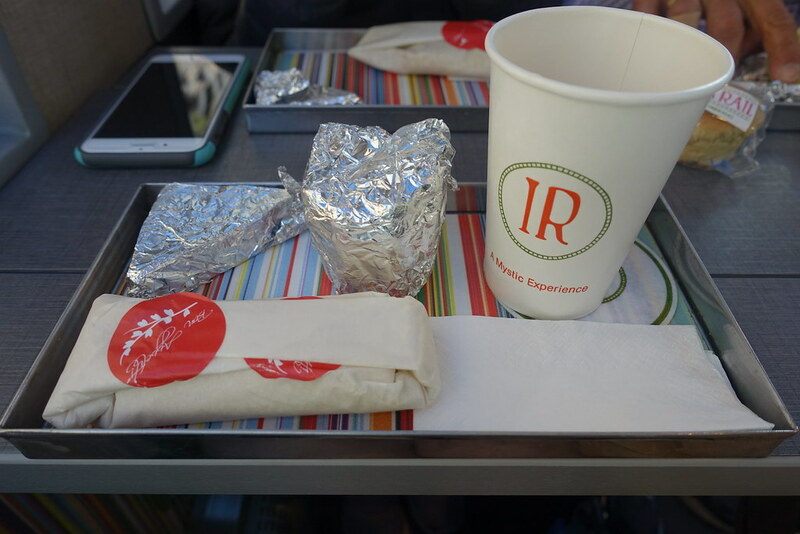 They were vegetarians, but there was no vegetarian meal offered on the train (another thing to keep in mind), so they gave their ham and cheese wraps to us! The scenery got better and better as we went. The train took us through a beautiful river valley, between mountains so massive that we couldn’t see their peaks even through the windows in the ceiling. It was a great way to arrive. However, I’d advise saving money by taking the economy train back, as by that time you’ll be accustomed to the scenery! After arriving at the station we followed signs to the tourist information centre and picked up a map to use to find our hotel, Cusi Qoyllor. This is a really good value choice, as it’s close to the train station yet outside of the extremely touristy centre. Our room was basic but comfortable, with an ensuite and a lovely view of the forested river valley from the window. 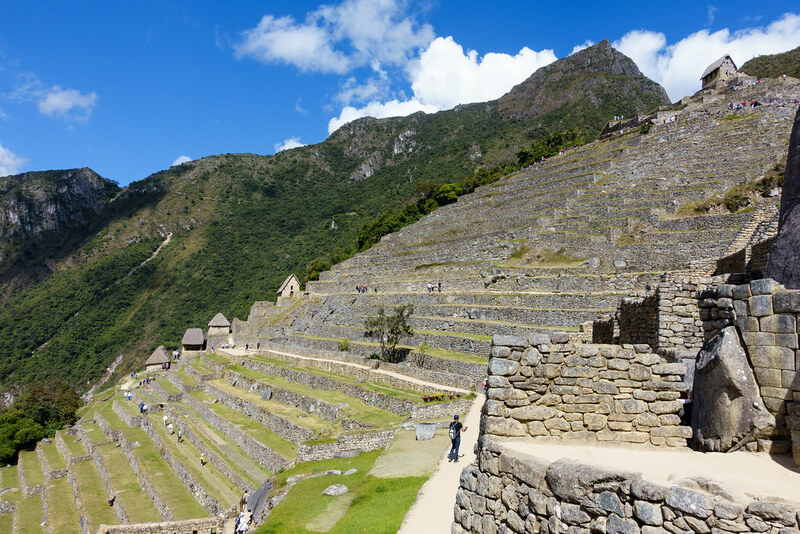 Having dropped off our bags, we went to buy our Machu Picchu tickets from the ticket office in the town centre. The ticket office only accepts cash and you’ll need your passport with you to buy a ticket, so be prepared (there’s a free ATM beside the train tracks if you need it). 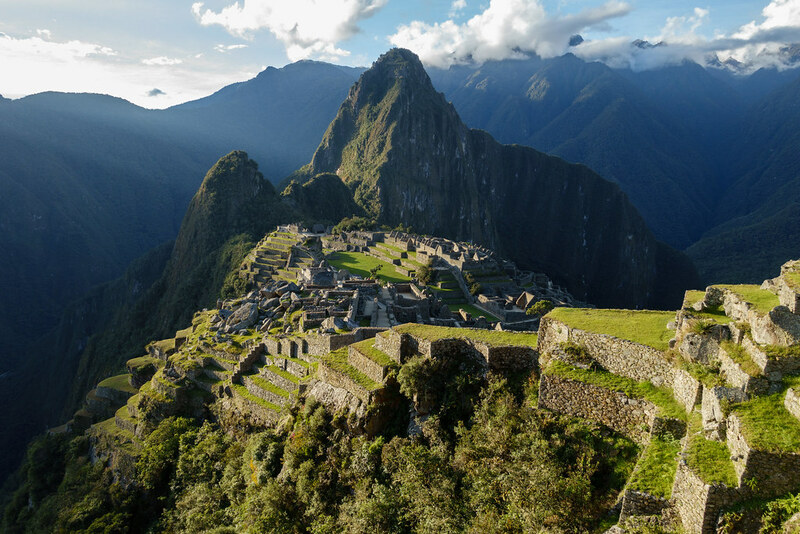 An adult ticket for Machu Picchu costs 152 soles, with access to two additional mountain hikes costing extra. We found the starting point for the walk using the map we’d picked up earlier. 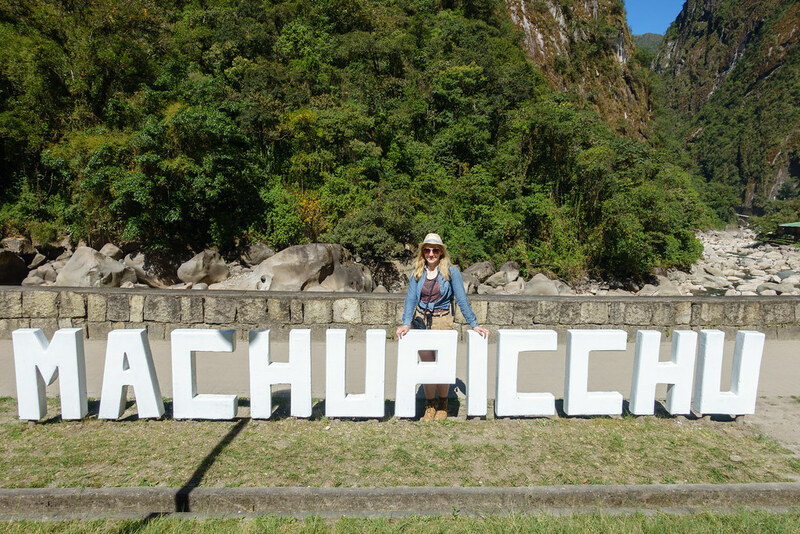 Although we went the wrong way at first, there was no doubt we’d found the right way when we came across the large white letters spelling out MACHUPICCHU. The path follows the river out of the city and towards the mountains, along the same road that the buses use. 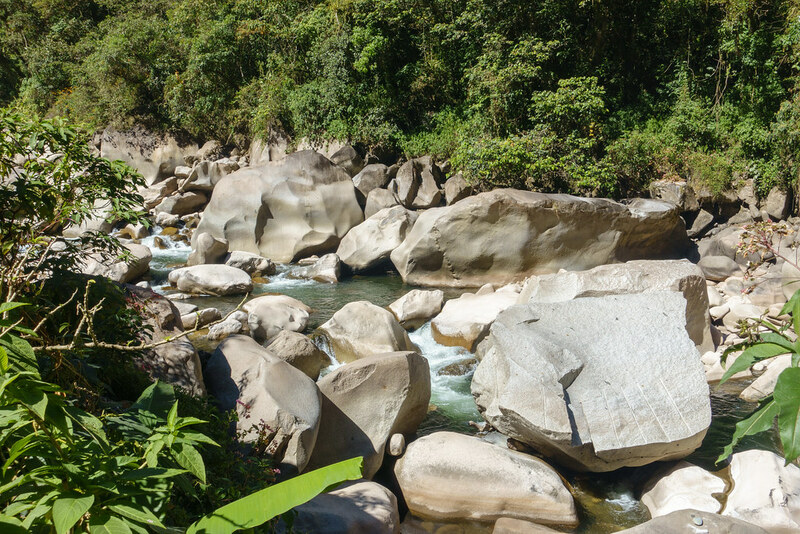 The boulder-strewn riverbed looked so pretty in front of the mountainous backdrop. 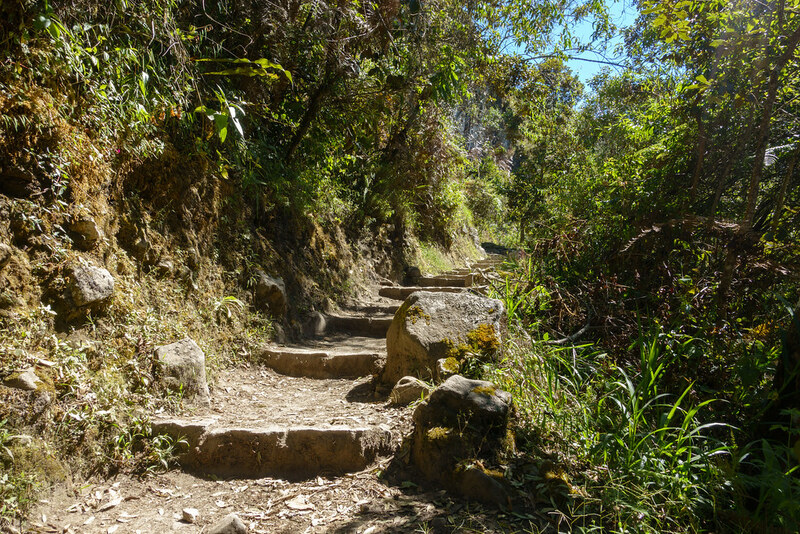 The track continues until you reach two small bridges that take you to the bottom of the hill on which Machu Picchu sits. There’s one last cafe from which to buy food and drinks before you start the steep ascent. The path is a solid 8km of steep, zigzagging steps, except for the several points where you meet and cross the road. I found this walk difficult, especially in the heat, so I wouldn’t recommend it unless you’re very fit or want a challenge. We made it from the centre of town to Machu Picchu in around two hours, but it would be much faster and easier returning this way downhill. On the plus side, we saved some money, saw a hummingbird, and had chance to admire the mountainous backdrop through the trees. When we finally reached the top we bought some overpriced drinks from the Mirador Cafe so that we could shelter in its pleasantly breezy shade to (sneakily) eat our remaining food from breakfast. 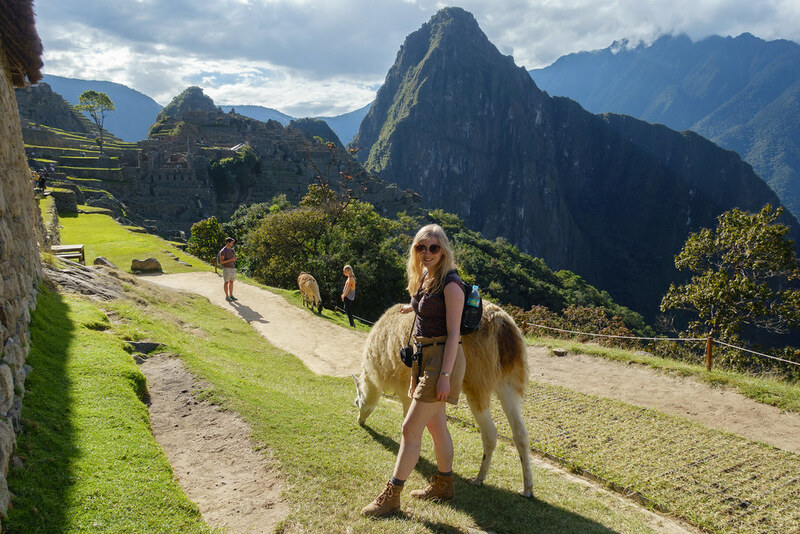 Many people see Machu Picchu on a tour, by either booking in advance or paying for one of the official guides standing at the entrance (we heard they cost around $40). 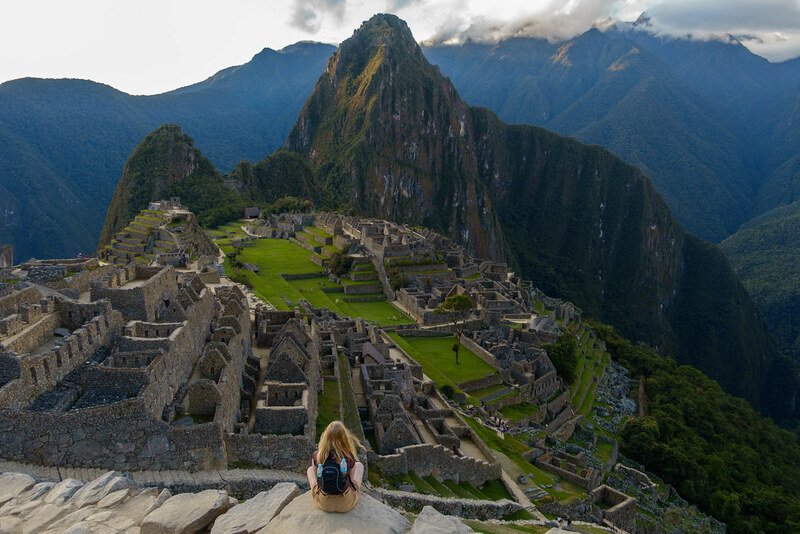 But it’s easy to explore Machu Picchu by yourself, not to mention much cheaper. Doing it independently also gives you the freedom to take your time, and go and do whatever you want. 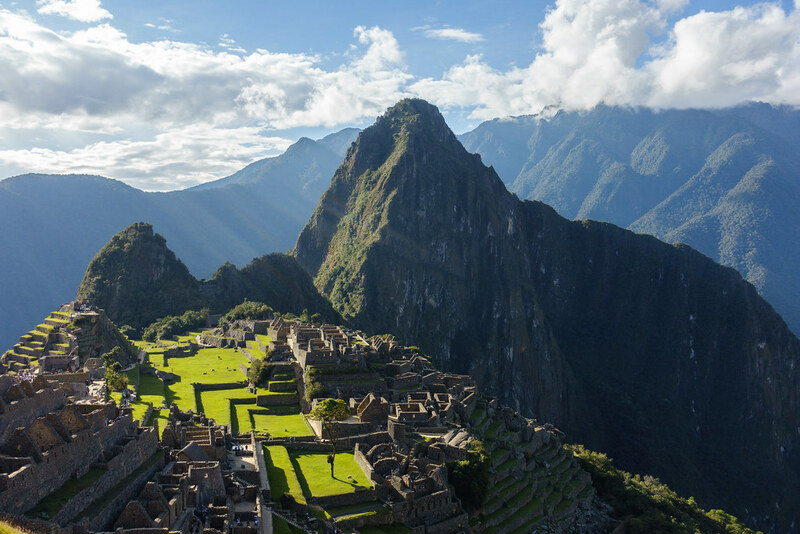 Little is known about Machu Picchu; internet research will tell you that it’s suspected to have been a kind of resort for wealthy Incans. 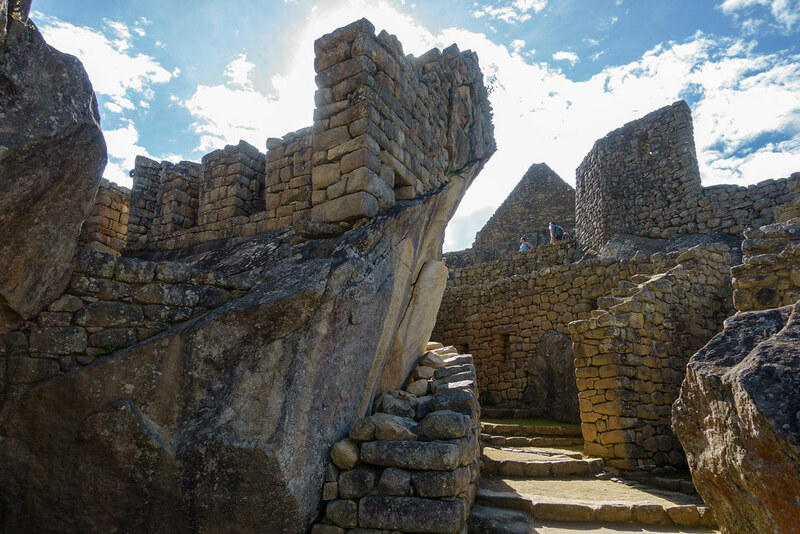 This means that a guide will give you general history of the Incans and theories about the site, rather than specific facts about it. That said, it would have been useful to have someone giving us directions and context, particularly for the more labyrinthine parts of the park. 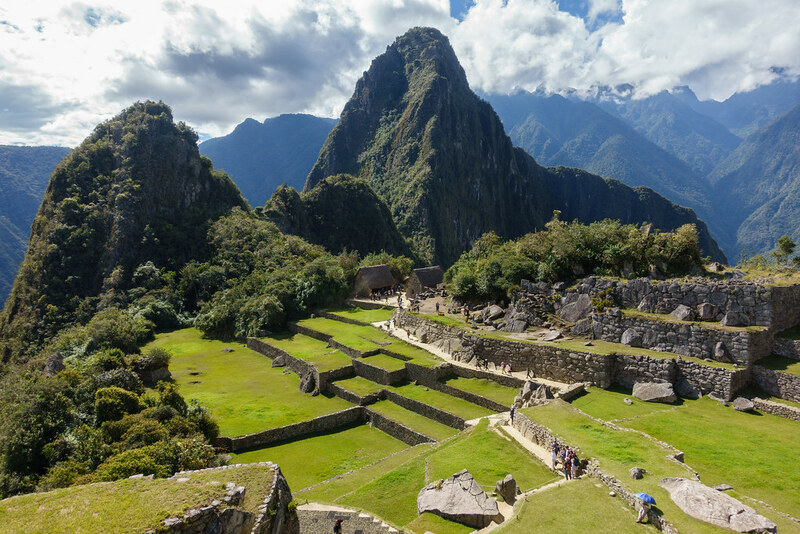 Whether you chooose to take a tour or not will really depend on your reasons for going to Machu Picchu in the first place. And for those undecided, there is a middle ground: as long as you’re not time constrained, you could use one park entry to go round with a guide and the other to go round independently. We decided to take circuit 2, which took us along a path across the middle of the park. 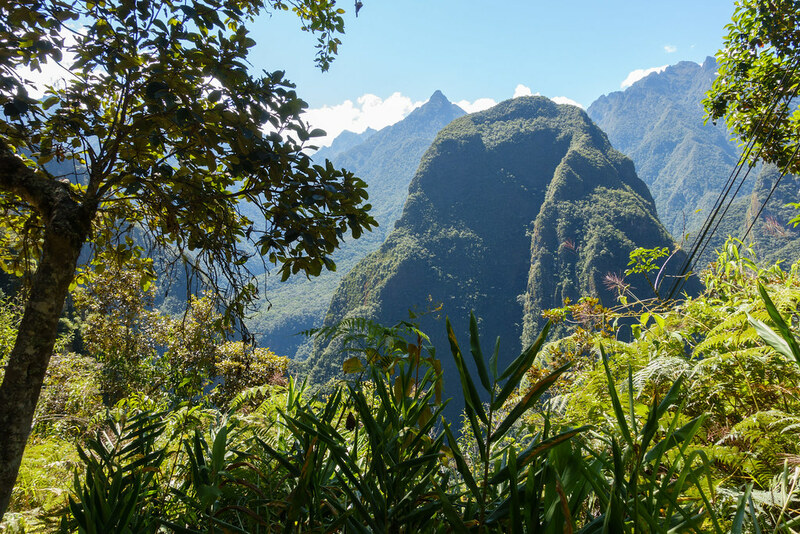 Almost immediately we were faced with an amazing view of Machu Picchu mountain from a perspective I’d never seen on photos before. It was a thrill to see this mythical site for real in all its massive, majestic, sun-dappled glory; it filled me with excitement. I couldn’t wait to run wild around its myriad twists and turns. In fact, there are so many paths going in multiple directions that it’s hard to know whether you’re missing anything. We ended up joining circuit 1 where it met with circuit 2, then zigzagging and backtracking in a quest to see every part we could. We clambered over boulders, ducked under arches, and ventured into room after room, each with their own quirks. This was great for seeing the ruins, the mountain, and the surrounding landscape from different perspectives. 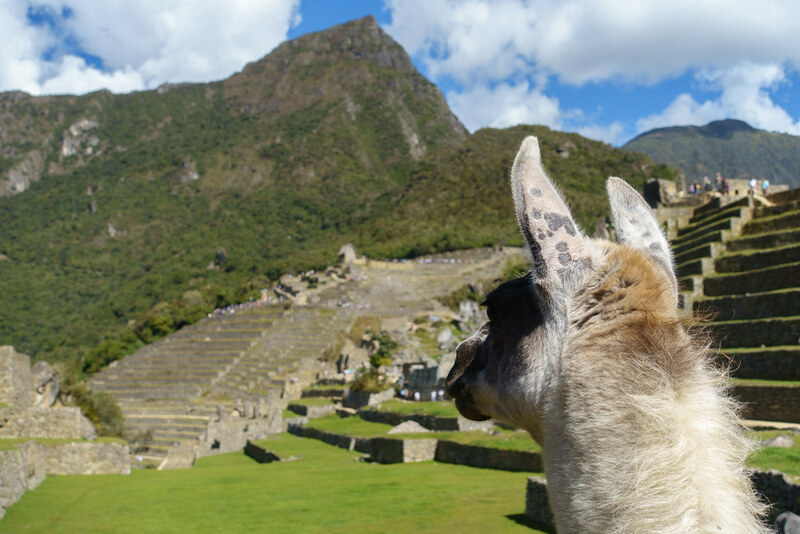 Doing our own, very comprehensive exploration also led us to a couple of grassy ledges filled with llamas! 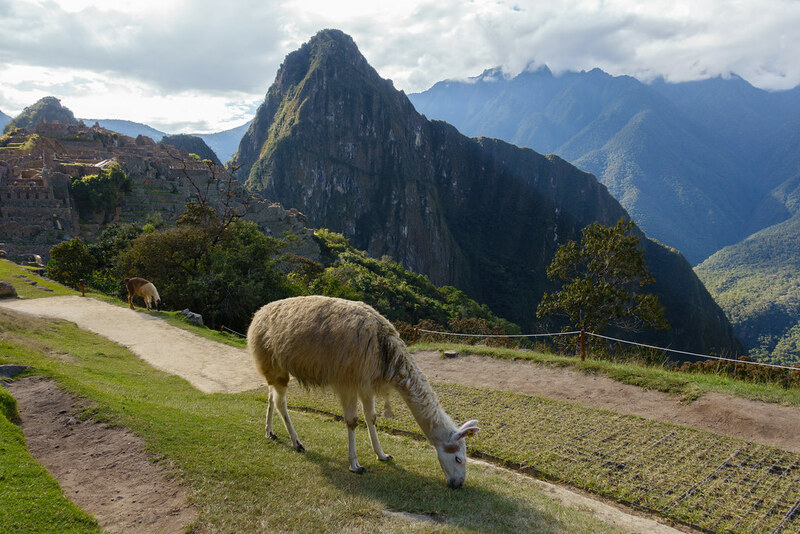 For the most part the camelids seemed quite docile, enabling me to stand next to them and stroke their extremely soft hair. 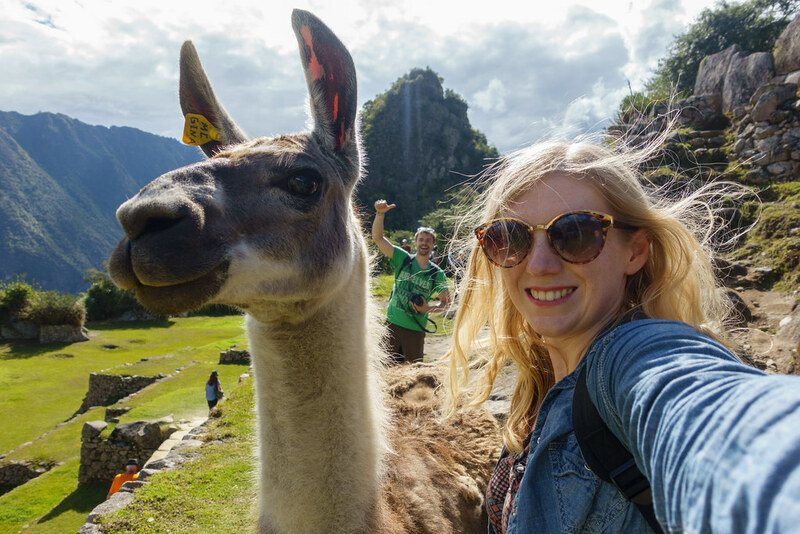 I was delighted to be able to snap some photos of them in front of Machu Picchu mountain and, of course, to get the obligatory selfie! 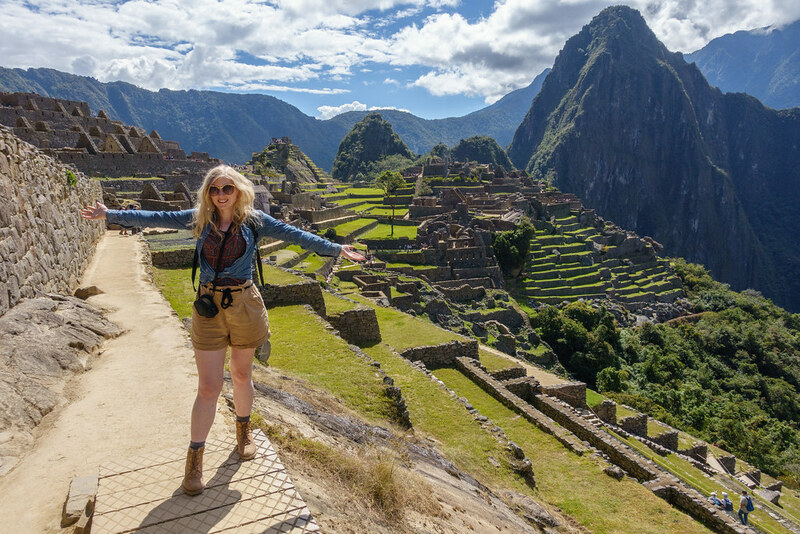 When we reached the exit and tried to go back to do the beginning of circuit 1 (featuring the Guard Tower and the ‘classic’ Machu Picchu view) we were told we weren’t allowed, due to the one-way system. We had to leave the park and come in again, which was quite annoying. It turned out that there was a benefit to leaving the Guard Tower till last because, by the time we got there, there were far fewer people crowding its lookouts. 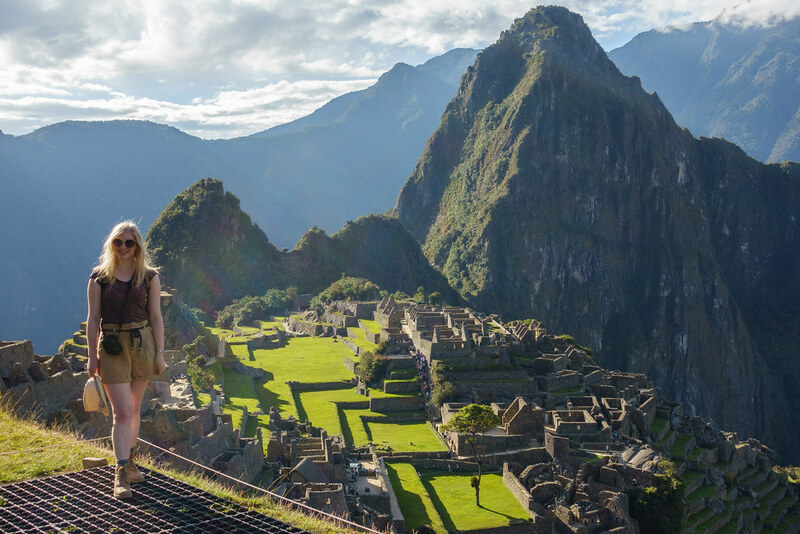 And it was worth the wait too, because, as great as it was seeing Machu Picchu from all the other, lesser-seen perspectives, nothing quite matches seeing the entire mountain from the Guard Tower – it is truly a breathtaking sight. We began taking photos early on, but the view just kept getitng better the further up we went. The best unobstructed view of the mountain is from the highest point of the Guard Tower area, while the best place to get a photo of yourself in front it is on the way down because there’s a spot here with no visible barriers or artificial floor covering. The light wasn’t the best at this point, but it was great feeling like we almost had the place to ourselves. 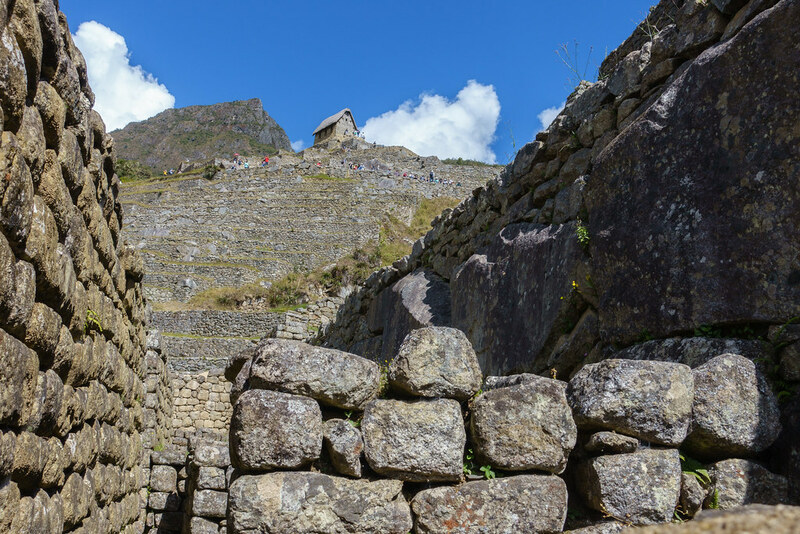 I felt that seeing the lesser-seen parts and angles of Machu Picchu first meant we could better appreciate them individually, rather than in comparison to the widest, ‘best’ view. We found there were many more interesting, beautiful and unexpected sights to discover across the rest of the park. And leaving the most famous view til last made it feel like a grand finale! We left as the park closed at 5pm and got one of the last buses. Soon we wished we hadn’t, as the drive down the hill was quite hair-raising and towards the end we had to wait for ages, and then change buses, because there was a large vehicle blocking the road. 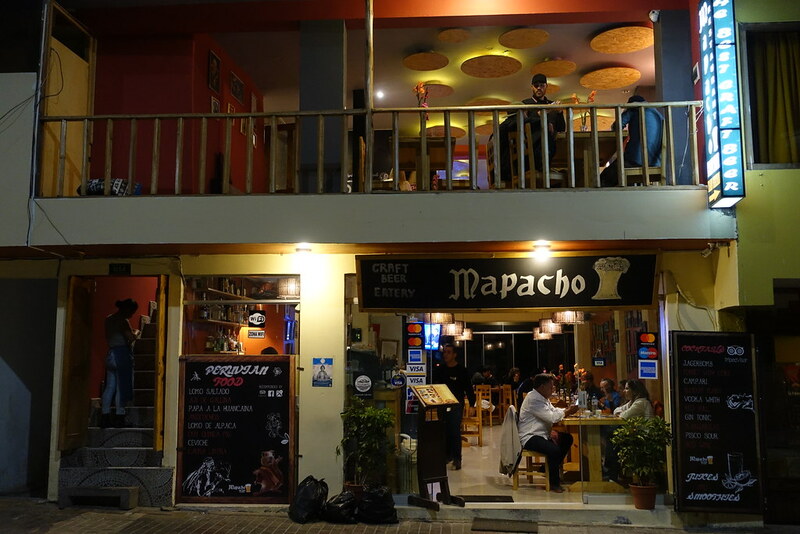 For dinner we decided to check out Mapacho craft beer restaurant, which was just a short walk from our hotel and thankfully outside of the tourist-trap centre. This was one of the best decisions we made all day. After receiving a warm welcome, I ordered a cold drink and, after the hot and sweaty day we’d had, it felt like the best drink I’d ever had. It was an ice-cold, freshly made strawberry lemonade served in a giant glass, and incredibly fruity and refreshing. Steve tried two of the craft beers, both of which he enjoyed, and ordered a starter of fried yucca cheese balls that we shared. 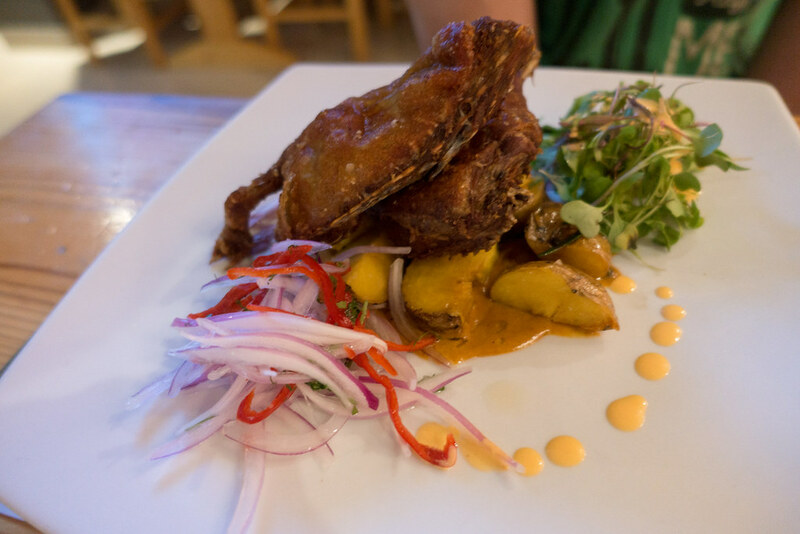 For main course he had the crispy, deep-fried cuy – more commonly known as guinea pig. There wasn’t much meat on the bones, but it did taste nice; it reminded me of pheasant. But my main course of grilled alpaca in plum sauce alongside quinotta (a mixture of quinoa, parmesan and green vegetables) was one of the best things I ate in South America. The meat was tender and juicy, the sauce rich, and the quinotta fresh and flavoursome. 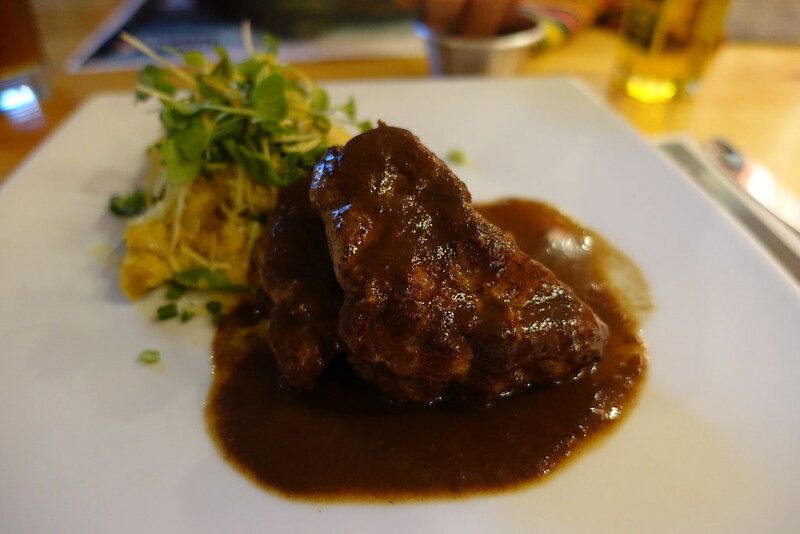 The service wasn’t great – Steve’s beer and main course arrived before my drink, and the starter was forgotten about completely and served as a side instead. But the food was good and the waiter was so jolly that we found ourselves forgiving everything else. And then came dessert: a quinoa creme caramel, which was unexpectedly sweet and lovely – it was like a standard French creme caramel with a crumbly, cheesecake-like texture. We walked back to our hotel at the end of the night very full and very happy. The next day we had a basic breakfast at our hotel then got back on the train, but we weren’t returning to Cusco yet. 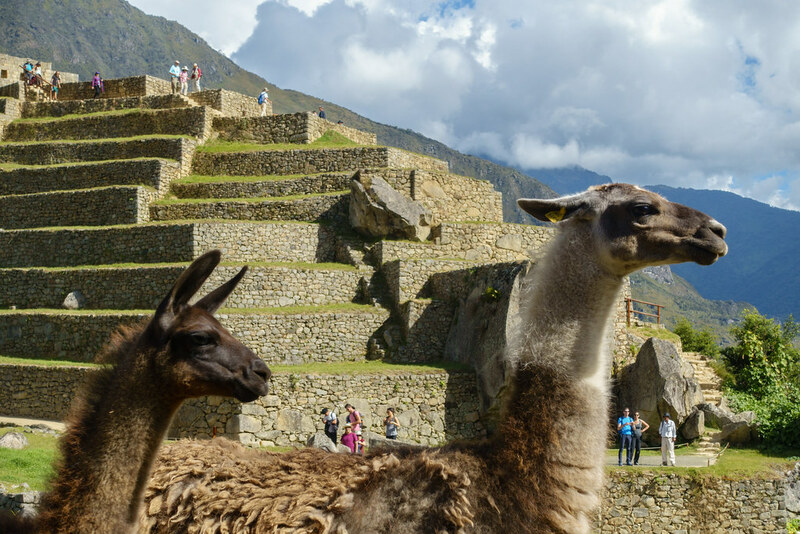 Before then, we would make another stop in the Sacred Valley to visit the ancient town of Ollantaytambo. To be notified when the next post goes live, subscribe to this blog or Like and Follow Roam with Juliet on Facebook. 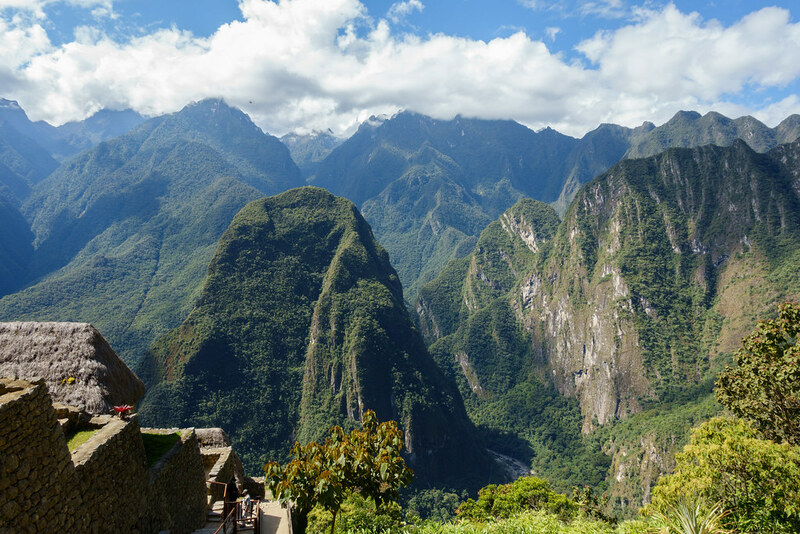 Posted in Peru, Photography, Reviews, South America, TravelTagged aguas calientes, cuy, inca rail, machu picchu, mapachoBookmark the permalink. This sounds amazing, I definitely think you did it the right way avoiding the tours. I know it’s hard to avoid crowds at popular places like this but it’s nice to have a chance to have some moments to yourself!